Well, I was up this week. It's so unpleasant to report that! I know exactly what went wrong, too. I didn't keep my food journal. That seems to make all the difference for me. So, I'll keep my journal this week, exercise a little more, and next week I'll have lost what I gained plus a little extra to boot. I cannot wait for warmer weather so we can go for walks downtown and spend more time at the park. My kids are like caged animals here! Ginger loves to wrestle with Patch. He's not always a fan, but he tries to be a good sport. Ginger is napping now. Yesterday she slept for over 2 hours. It was heavenly. I have some fun projects I'm working on. Maybe I'll show some progress pictures tomorrow. I have some really pretty fabric to work with. Pretty fabric makes grey days seem a little easier. 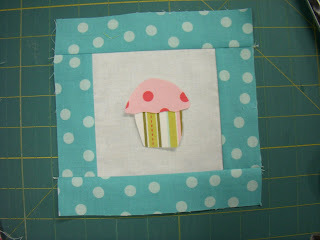 Up today is the penultimate tutorial using Sweet Divinity. "Penultimate" is a great word. It does not mean "better than ultimate." Rather, it means "second to last." Between this and the tutorial, you have now learned two things. Well, unless you already knew the meaning of "penultimate." If you did, good for you. I should have done a Pioneer Woman style quiz. Oh well. Next time I know an appropriate really big word, that's what we'll do. 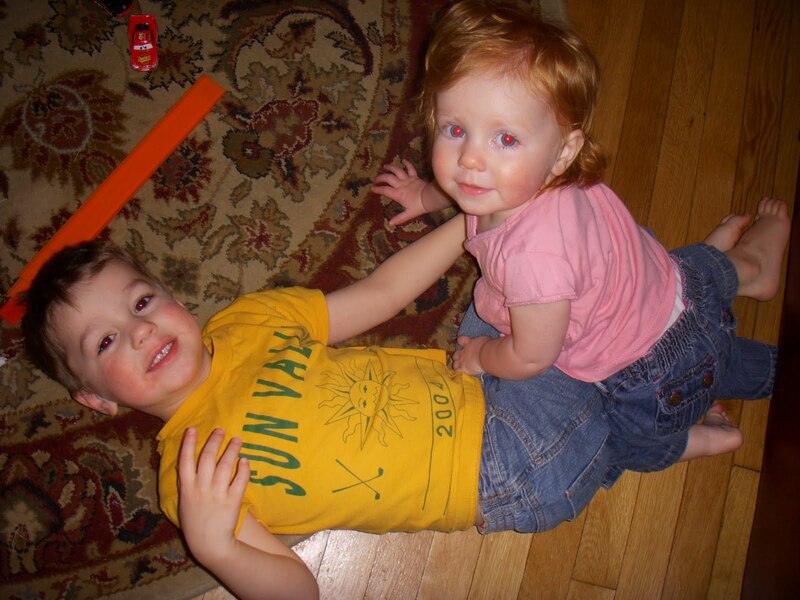 It doesn't get much cuter! This week, my grand total lost reached 45 pounds. That's a lot. I think Mini-me weighs 45 pounds. I'm pretty sure Flower doesn't weigh much over that. In celebration, I bought some fabric that was on sale. Don't tell Curly. He thinks I have "enough." Silly man. Yesterday at my weigh in, my leader gave me some sad news: Next week is the last week for our time slot. No more Tuesday 9:00 meeting. I'm really not happy about this. 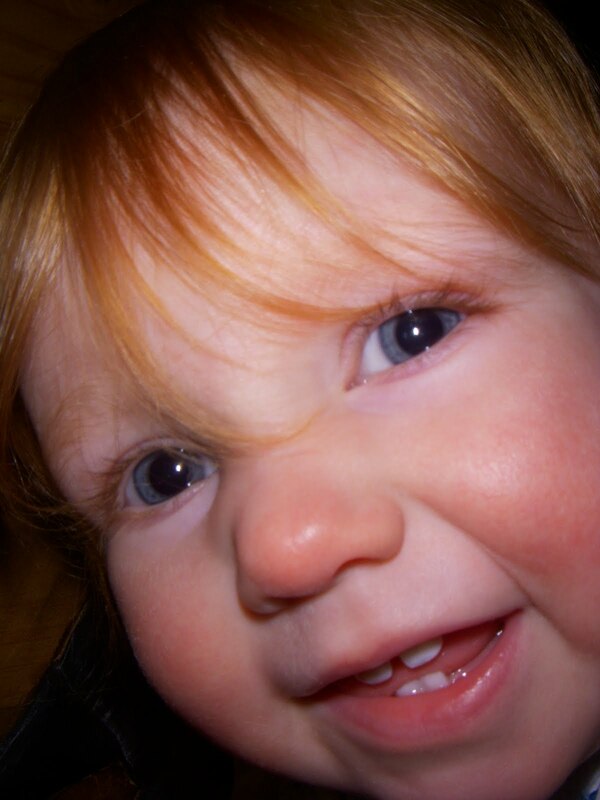 While children are welcome at any meeting, they are less welcome at some than at others. I have taken my kids to Wednesday meetings, and the leader made comments to the whole group about how noisy the kids were. She never asked us to keep them quiet, nor did she talk to us about it before the meeting. It was very passive aggressive and not at all friendly. The Thursday morning meeting was very full. The leader is southern and hilarious. There were a couple of kids there, but they were infants in carriers. The meeting was so crowded that I don't think there is room for me to bring mine. I will probably end up going on Monday mornings, even though I don't really like the leader. I'm not sure what my friends will end up doing. I hope at least one (I go with 4 friends) will come with me. So this week the goal is to stay healthy. Mini-me is home with a cough and a low fever, Ginger has been growing teeth and has a low fever, and Patch told me all day yesterday that he threw up. He had not, but I think he's tired of all the attention his sisters are getting. We are laying low today and hopefully tomorrow everyone will be on the mend! I'm only about 3 weeks late in getting this up, but that's okay. Better late than never, right? 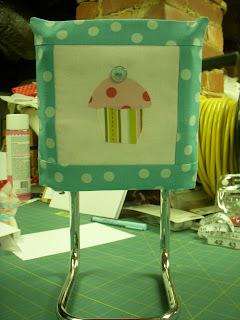 This Slipcover Chair Sign coordinates with my Hanging Chair Sign (tutorial found here). 1. Cut your cream center 4.5" square. 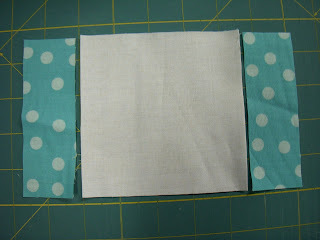 Sew border strips to center square, pressing seams away from center. 2. 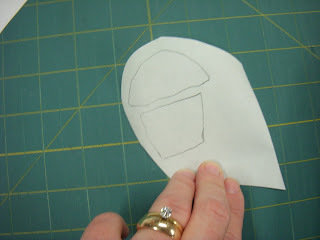 Prep your applique. For a detailed explanation, follow my tutorial here. This cupcake is tiny, and is fairly easy to sketch by hand, which is what I did. I have zero artistic abilities, so if I can do it, you probably can too. 3. 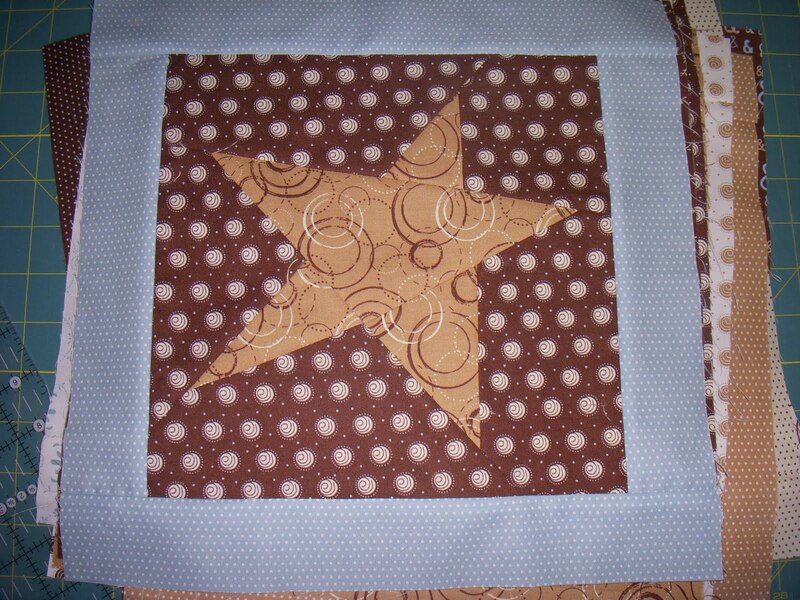 Center applique on your 6.5" square, and press. 4. 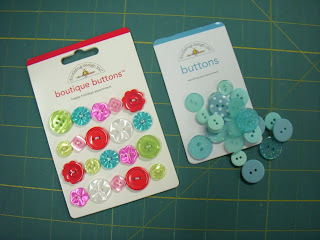 Add a super cute button to the top. You can imagine it's a cherry or a giant sprinkle. 5. 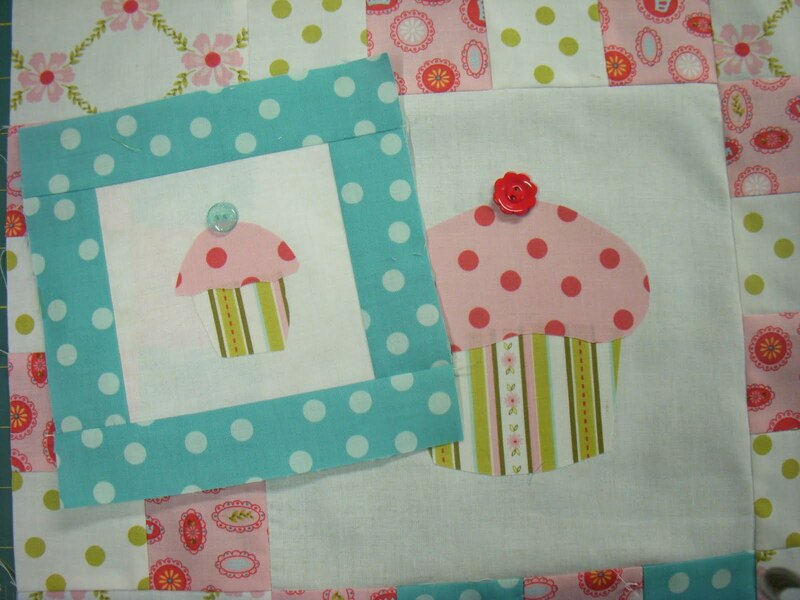 Here is a side-by-side picture of both signs with their cupcakes and buttons. Yum. 6. 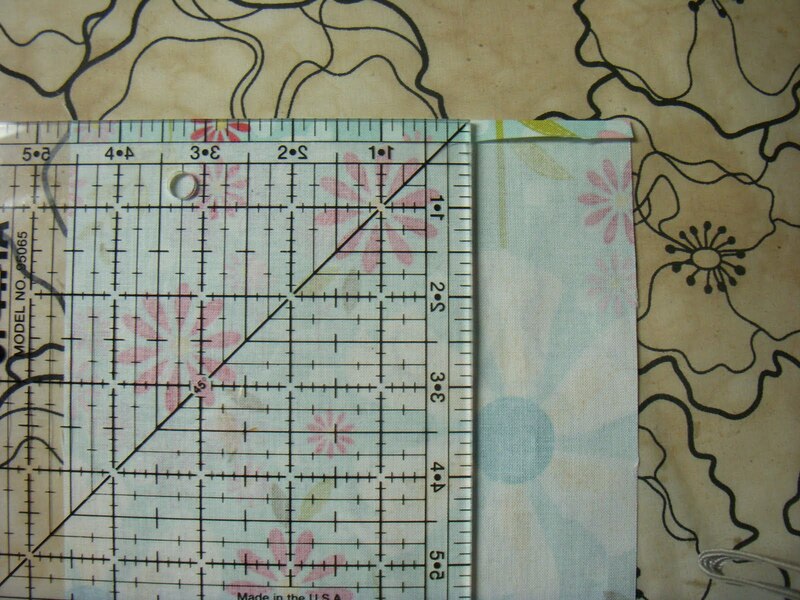 Cut a 6.5" square for the lining. Place right sides together, and then sew along bottom edge only. 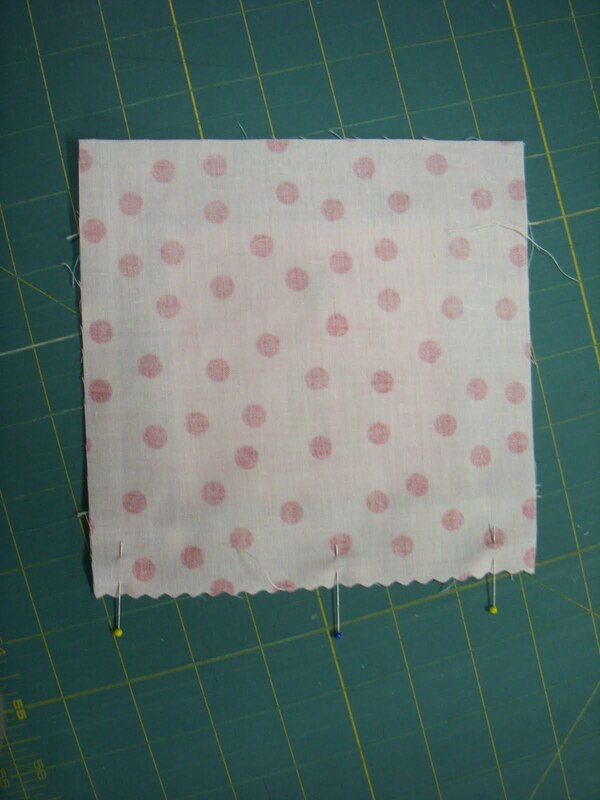 Press so that wrong sides are together and seam is encased. 7. 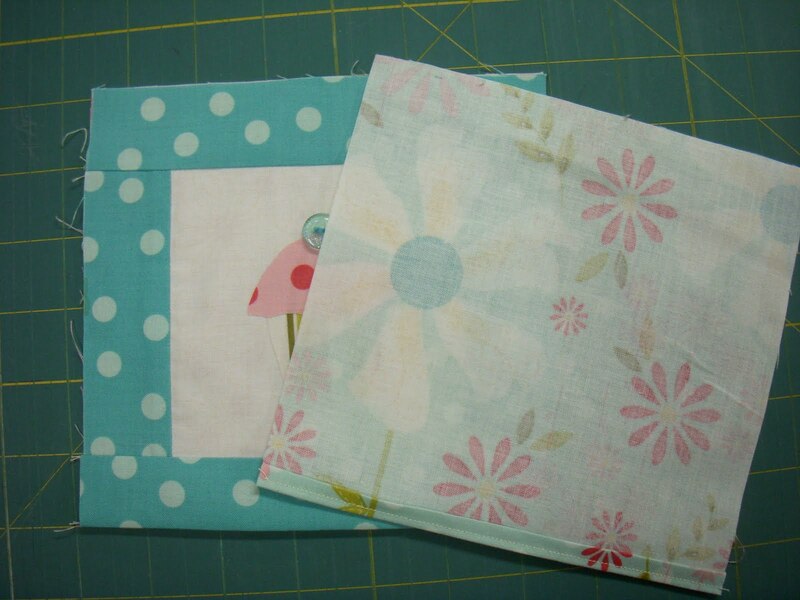 Aren't these fabrics cute? Amanda is brilliant, I say! 8. Now we're going to prep the back. 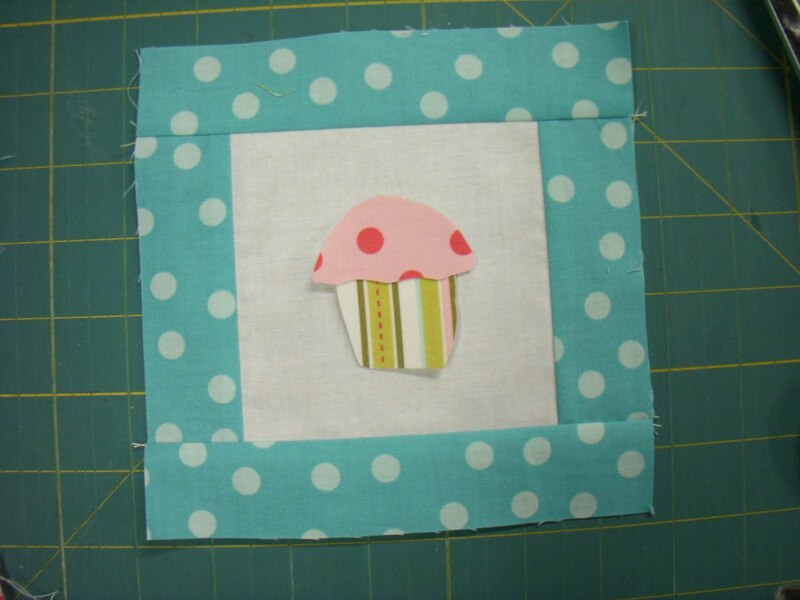 Cut a cute piece of fabric 6.5"X6.75". 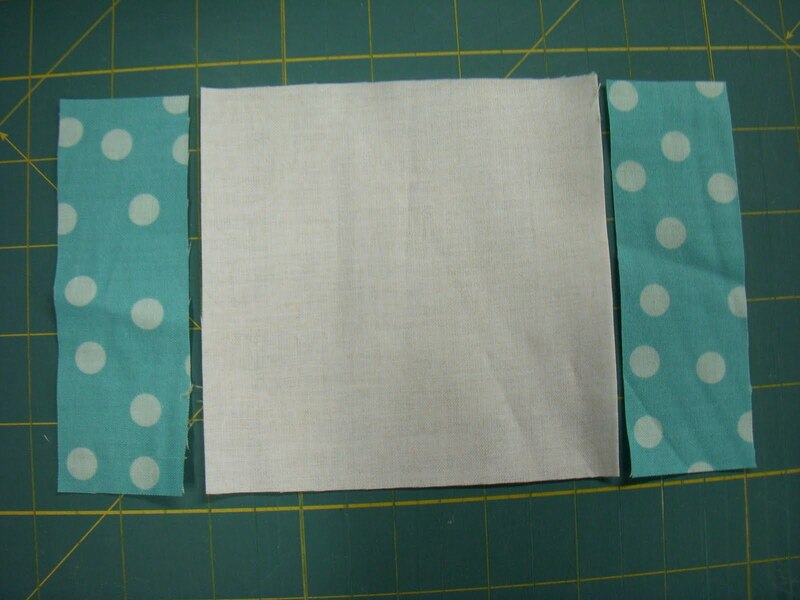 Fold bottom edge 1/4" up, press, and then fold up another 1/4" and press. 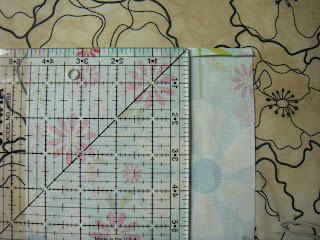 Sew along the edge with 1/8" seam. Now it should be the same size as the top. 9. Place cupcake side to right side of back. 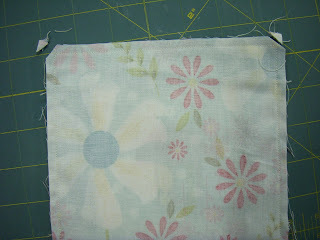 Pin all the layers and sew along sides and top. Be sure the backstitch at the beginning and end. 10. Clip the corners, turn right side out, and press. 11. Place over the Molly's American Girl chair. It will be a snug fit. This method could easily be adapted to the Hanging Chair Sign, if you would prefer a slipcover to ties. Just measure your chair and sew away! If you make this, or any other project from the Design Team, be sure to upload your photos to the flikr group. Today it's Jackie's turn to learn us how to make a pretty scarf. Go here to check it out! Oh, what a week! I steered clear of almost all baked goods and I wrote down nearly everything I ate. I am down 2.2 pounds, for a grand total of 44.2 pounds to date. I also zipped up and wore with confidence my size 12 jeans. I feel smaller and more comfortable in my body. It's a great feeling. My goal this week it to try at least 5 new workouts from the On Demand menu. There are some great choices, like some of the Biggest Loser workouts and some from Crunch Fitness. It should be pretty fun to switch up my workout with new routines! I have been busy in my sewing room lately. I volunteered to provide a basket for a silent auction at the school. I consulted with my mom and we came up with the idea of a "Celebration Basket." 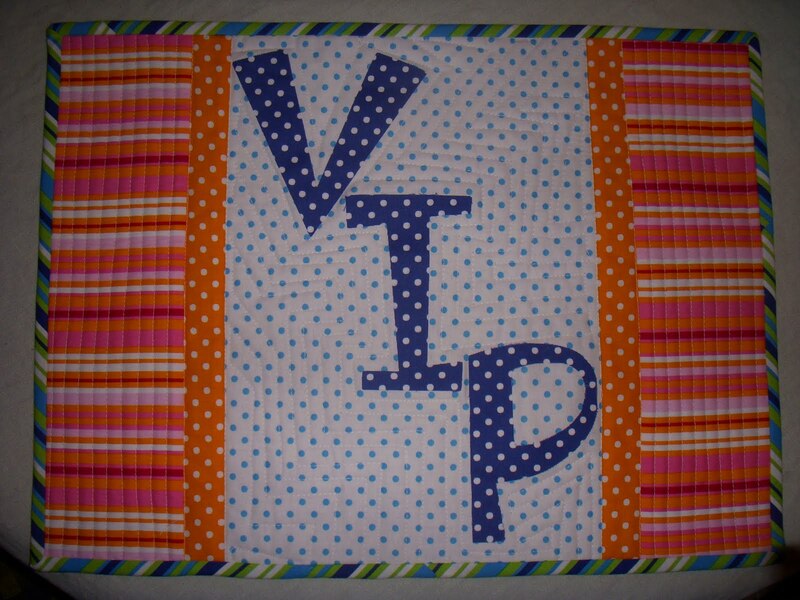 I put in a "Celebrate" fabric banner, which you can see here, a "VIP" placemat, and a hanging chair sign. Growing up, we had a "You Are Special Today" plate. It was awesome. That red plate really did make you feel special while you at spaghetti (not that I ever ate spaghetti willingly growing up). I wanted to make something with the same feel, and came up with the VIP Placemat. I will have some available in my etsy shop after the weekend, in case you were wondering. 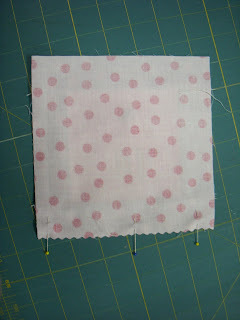 The fabric is Crazy for Dots and Stripes. If I had unlimited funds and storage, I would buy bolts of this line. I love it that much. I used the same fabrics for a Hanging Chair Sign (tutorial found here). I wanted it to appeal to both boys and girls, and I hope it does. I also hope lots of people bid on my basket. I've been having a great time! 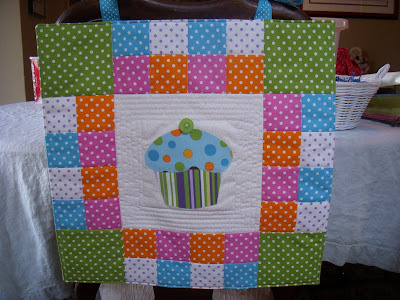 Candace has this week's tutorial over at The Quilted Fish. This is such a talented group of women. I feel so lucky to be a part of them! Go check out her tutorial for a cute pillow. Her method of finishing the back is great. I love learning new techniques! I was up this week. It was less than a pound, but still. I blame cupcakes. On two separate occasions in the past week, I ate them. They were delicious. I also feel I must confess to eating donuts yesterday for Fat Tuesday. Celebrating the day had nothing to do with religion or gearing up for Lent. I just enjoy an excuse to indulge my love of fried dough. Curly is also looking really good. If you wonder why I call him "Curly," then the above photo should clear that up for you. 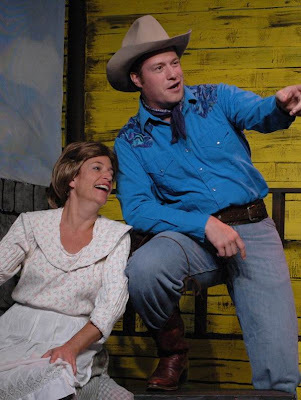 I still swoon when he sings "Oh What a Beautiful Mornin'." He's down over 30 pounds. I like to whine and moan that it's so easy for him, but truth be told, it's not easy for anyone. He has cut down his portion sizes and is just making better choices. Plus he doesn't seem to have the cupcake problem. The internet can be a huge time sucker for me. It is doubtful that I am alone in this. I have made a conscious effort to not be on it much at night in the past few days. I have gotten so much done! Lately I have felt my creativity slumping. I haven't felt like sewing anything. It was sad for me. But this week with my limited internetting, I have started a new baby quilt for a very special baby. No. It's not mine. Bite your tongue! Go sit in time out! And now that I have said hello, I must say goodbye. 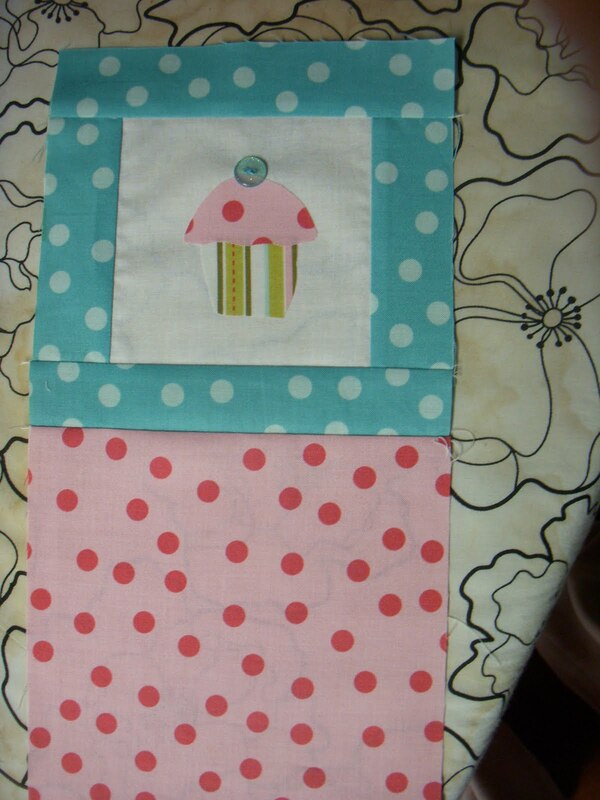 The blocks are almost done, but aren't going to finish sewing themselves. I'll post a sneak peak tomorrow. Bye now! Another great tutorial over on The Quilted Fish blog today! Go check it out! Remember when I said I would have a new tutorial up on Monday? Well, I lied. Yesterday I had jury duty. And today? Well, I decided to take a cue from Liz Lemon and flee to my personal Cleve: Pittsburgh. Curly has some meetings at the corporate office, and I'm along for the ride. I've had a taco from a street vendor and can see Target from my hotel. Pittsburgh is French for "paradise." Plus, I got to visit this shop. And did I mention that I'm alone today? Sans kids? So forgive the lack of promised tutorializing. Instead, turn off the computer and do something fun that makes you feel like a better version of yourself. Trust me. You'll be glad you did. But please, turn the computer back on tomorrow and come see me!